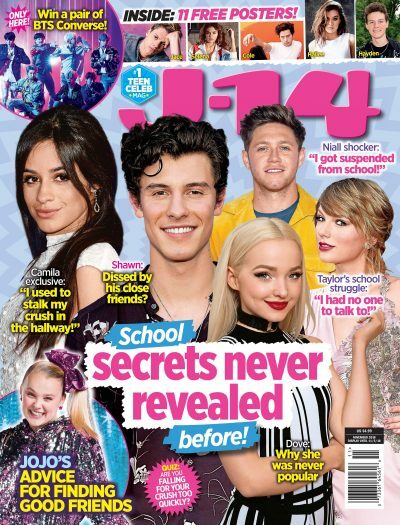 Today is National Doctor's Day which got everyone over here at J-14 thinking about all the good they do for us and our favorite celebs! But, did you know that some of the most well-known celebrities struggle with different diseases every day that you may not have known about? Just because they walk the red carpet, look super flawless and have very successful careers doesn't mean they don't have some health struggles of their own. And sometimes these things are very difficult to talk about because they are so intimate and personal. We applaud these 10 celebrities for coming forth and talking about their health issues because not only are they connecting with their fans on a deeper level but they are also spreading awareness for their particular disease or illness! Click through the slides and let us know which illness was the most shocking to you in the comments below! Sarah Hyland is known as the bubbly daughter on Modern Family, however as a child she was diagnosed with kidney dysplasia. Her father was the one who actually donated one of his own kidneys for Sarah so she could have a successful transplant! Kendall Jenner recently revealed she has been dealing with sleep paralysis. Selena Gomez just recently announced to the world that she has been battling lupus for years. Kim Kardashian suffers from a skin disorder called psoriasis which means she can sometimes have dry, patchy, irregular skin and to this day there is no cure for it. Model Bella Hadid struggles with lyme disease alongside her mom Yolanda Foster, who has become a spokesperson for the illness, and her brother. Her sister Gigi Hadid does not carry the disease. Rapper Lil Wayne struggles with epilepsy which could be very dangerous and result in seizures. He has said that his seizures come out of nowhere and once had to spend a week in the hospital recovering. Frankie Muniz had a mini stroke in November 2012 and then another one a year later in November 2013. To this day, doctors aren't sure why he suffers from this. In 2012, America's Got Talent host Nick Cannon was hospitalized for mild kidney failure and then later said he was diagnosed with lupus nephritis. "Confident" singer Demi Lovato has bipolar disorder and has become a spokesperson for mental health – spreading awareness wherever and whenever she can! Jamie Lynn Sigler recently announced that she is battling multiple sclerosis. She was diagnosed when she was only 19 years old. Amanda Bynes has stayed out of the spotlight for a while now due to her ongoing battle with bipolar disorder and Schizophrenia.